Planning Your Colorado Vacation? Take Advantage of These Deals! Whether you’re heading to Colorado for your vacation this year or you are an experienced adventurer, you know it’s smart to plan ahead for the best deals on activities while in town. With so many outdoor adventures available in Colorado, picking the right activity in the right location for your group can be overwhelming. We’re here to help you find the right activity for your group as well as give you a heads up on some deals to take advantage of for 2018! AVA Rafting & Zipline runs rafting trips on 8 different rivers, and we have 4 outposts across the state. The exhilarating activity of whitewater rafting is obviously a big check off the bucket list for many who head to Colorado each year. AVA has trips varying from beginner level to the most thrilling, making sure you can suit everyone in your family or group. Looking for something a bit different? We have two zipline courses located in Idaho Springs and Buena Vista! Our Cliffside Zipline in Idaho Springs won Best Adventure Park in the Rocky Mountains for 2018 and is already running trips for the year! AVA’s Buena Vista Mountaintop Zipline course will open at the end of April, leaving you with two options for adventure across Colorado’s Rockies. Really step your adventure game up this year with AVA’s Iron Way: Colorado Via Ferrata. This combination of ziplines, assisted rock climbing, traversing metal rungs, crossing suspended bridges, and making your way along the cliffside with challenge you to the maximum and leave you smiling from ear to ear. What better way to ring in the warmer season with a mountain adventure like this one? On the hunt for an activity suitable for your entire crew? AVA Rafting is offering big group deals for 2018! Discount is based off of your group size. AVA Rafting & Zipline will be introducing guided hikes in Rocky Mountain National Park this year! Guides are trained to take you through some of the coolest area of the park and show you all the unique animals, flora and fauna with some fun details from those who live in the area. Hikes of varying lengths and difficulties will be available, leaving options for all types of groups. Also in the works is our second Via Ferrata course in Buena Vista! We’re currently building it and hope to start adventuring above the Arkansas River Valley this summer… stay tuned! Not sure what the best adventure is for you? 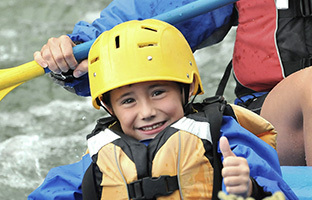 Use our HELP ME CHOOSE feature to figure out your perfect activity, or call our specialists at 877-RAFTING today!